The perfect lamp for a multitude of jobs! A reasonably priced portable folding light with a 13 watt daylight bulb. 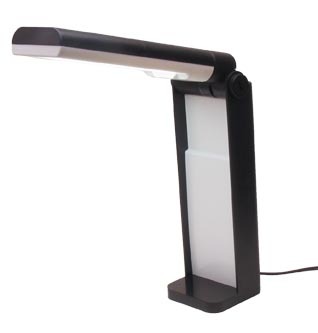 Made of high impact black plastic, with a pure white reflective surface, this light features an adjustment screw to control arm tension. This is a must for every workspace or bench, especially at this price.